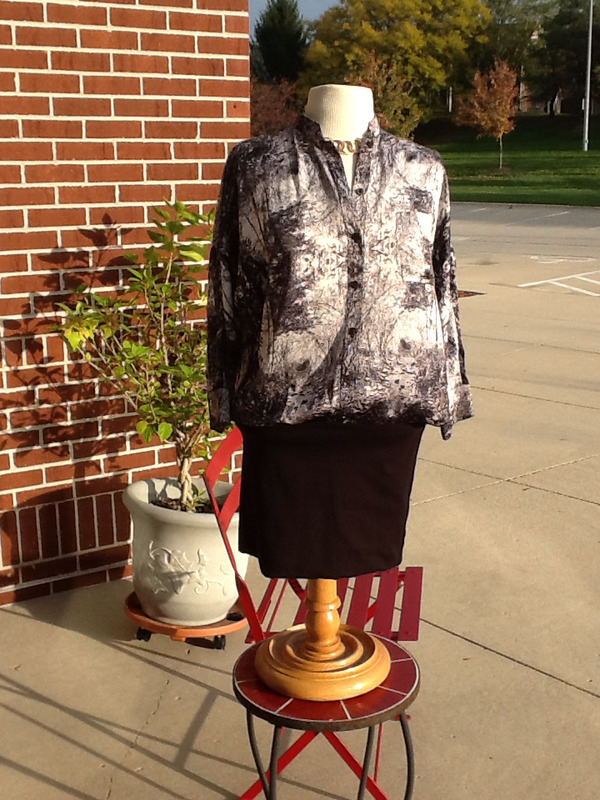 One piece button down silky print top with attached black contouring cotton blend skirt. LABELED SIZE 1, WHICH CONVERTS TO A U.S. 4. Fits like a small.